San Jose, California, has reclaimed the title of “hottest housing market” for the second year in a row, but it is beginning to face fierce competition from markets hailing from the South. Half of the markets listed in Zillow’s hottest housing markets for 2019  are located in the South, and most are benefitting from growing tech sectors and high affordability. Raleigh, North Carolina, and Seattle, Washington, contenders last year  didn’t make it onto this year’s list. "When it comes to the country's hottest housing markets, long-time leaders are hard to displace, but a number of up-and-comers are nipping at their heels. Silicon Valley's white-hot jobs market has propelled the region's housing market—which we expect to continue into the early months of 2019—but there are some signs that the trend is away from the West Coast and toward the South and Southeast," said Zillow senior economist Aaron Terrazas. "Affordability is attractive—for both young professionals and booming businesses, earning markets like Orlando, Minneapolis, Dallas and Nashville top billing in 2019." Zillow observes the top metros in the United States, identifying those that are anticipated to have higher than average home value and rent appreciation in the coming year, income growth, a strong job market with low unemployment, and an increasing population. 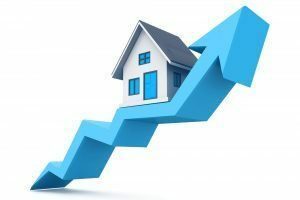 San Jose charted the highest home values at $1.25 million and is also expected to incur the highest home value appreciation this year with an anticipated 12.7 percent increase. Despite doubling in recent months, San Jose’s housing inventory remains tight, according to Zillow. San Jose’s job market is exceptional with the lowest unemployment rate of all major metros at 2.5 percent and with incomes expected to grow 6.8 percent this year. However, San Jose “is doubtlessly facing headwinds,” according to Zillow’s report. Meanwhile, things are heating up in the South. Orlando, Florida, which claimed the No. 2 spot on Zillow’s list of top markets for this year, experienced the largest population growth of the top metros with a 2.8 percent increase. Home values in Orlando stand at $233,700, well below San Jose’s $1.25 million, and home values are expected to rise 6.3 percent this year—about half the appreciation expected in San Jose. In fact, San Jose was the only market top market with home values above $1 million, though San Francisco was not far behind with home values at $963,000. The lowest median home value in the top 10 markets was $208,200 in Jacksonville, Florida. Zillow noted that “the impact of the tech industry on housing is also apparent on Zillow’s list,” pointing out that Atlanta, Dallas, Denver, and Nashville all have growing tech industries and were finalists for Amazon’s HQ2.